Crisp and garlicky potatoes smothered with melted butter, Parmesan cheese and well seasoned with fragrant herbs and spices. Have I got your attention yet? 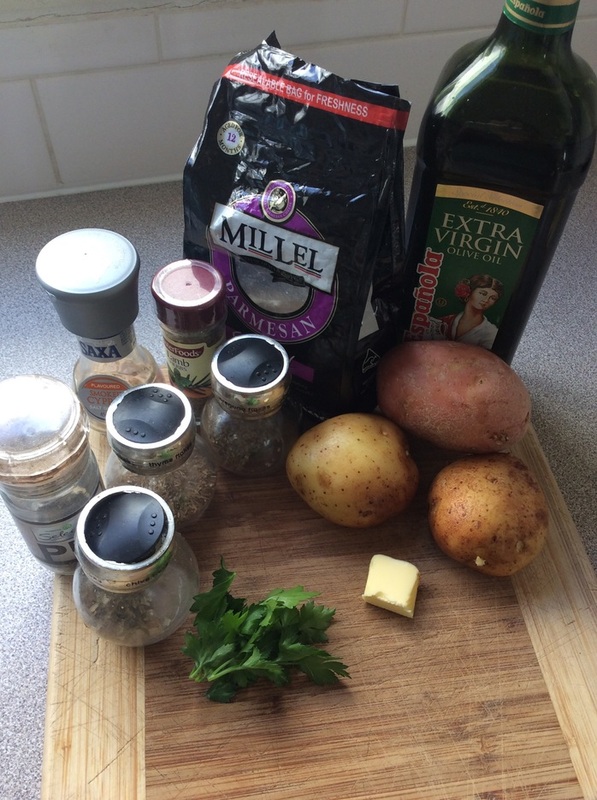 This dish is the ultimate comfort dish, it is perfect on its own or great for a side to salad, quiches, fish or pies. Preheat oven to 200 degrees C. Lightly oil a baking tray or use baking paper. 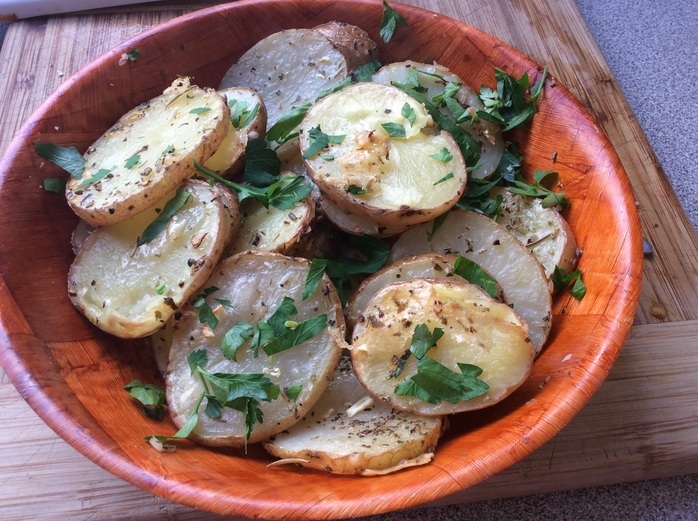 Slice the potatoes and place them in a bowl. Toss with olive oil, minced garlic, thyme, oregano, basil and Parmesan, season to taste. 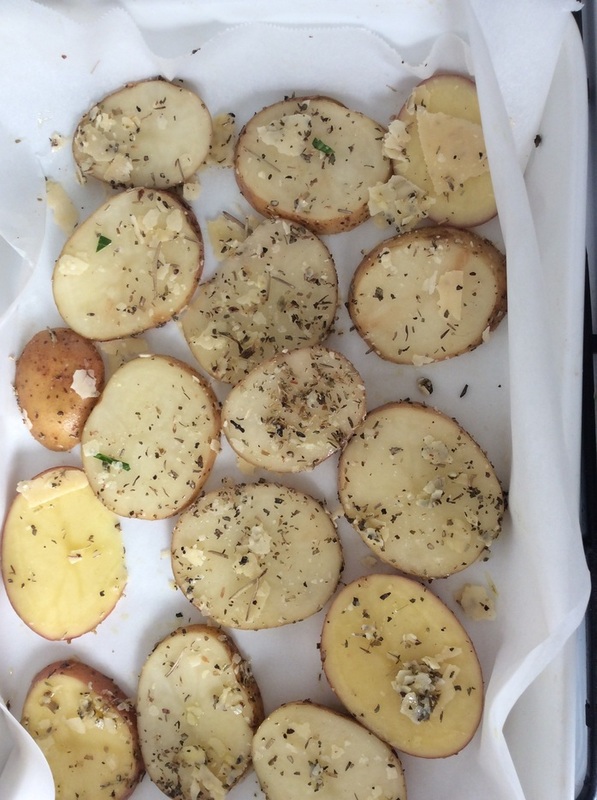 Once the potatoes are covered spread them out onto the tray and bake for 25-30 minutes. Flip the potatoes once at 15 minutes. 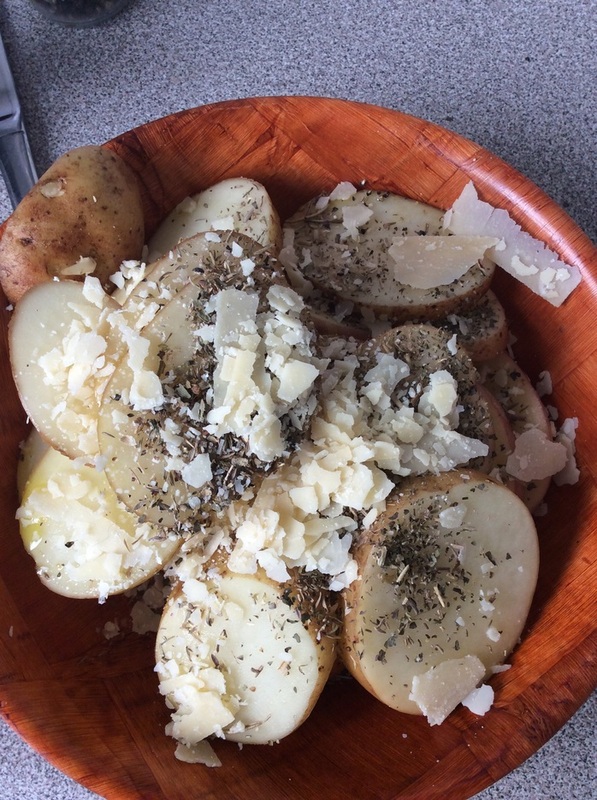 Remove potatoes from the tray and place in a bowl, stir in the butter until melted. Garnish with fresh chopped parsley and devour hot.